Island Lake was founded in 1986 based on the philosophy that each child is different and has different needs and desires. Our individualized program allows our campers to choose all of their own activities and to pursue their own interests. We take pride in our ability to cater to the individual needs of our campers and their families. When Island Lake was started it was at an existing camp facility that had been built many decades ago. Since then, every building has been rebuilt and the facilities are unparalleled in the world of summer camps. From our skate park, gym, indoor horse stables to our circus building with an indoor flying trapeze and everything else you can rest assured that you are in a modern building built to the highest standards. Our new bunks are widely considered to be the nicest in camping. Our program consists of six one-hour activity periods each day. Three are called majors and our campers choose their majors at the beginning of each session. These three activities are attended every day. Each morning at breakfast the campers choose three minors which are activities for just that day. Whether they want to try something new or supplement one of their majors the campers get to pick three activities every day. I would just like to thank all of you for making my summer absolutely AMAZING! For the sixth year in a row you guys have made an environment for my friends and me to share in unforgettable memories, and form life long friendships. I know this is sappy but it’s very true. ILC is without a doubt my home away from home. I’ve been home for less than a day and already can’t wait until next summer. I think that it is the BEST place on earth! I never wanted to leave! I have made so many awesome friends! Island Lake is wonderful and so much fun! Island Lake is all-around terrific! 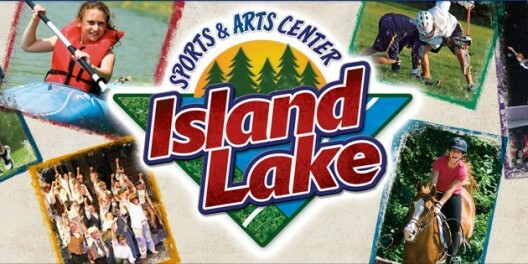 Want To Work at Island Lake? Learn About The Staff Experience!